Sounds of screeching could be heard on the one way ring road below the YMCA in Watford. Screeching could be heard, it could almost be mistaken for squeaking from drilling equipment from the building site of charter place. 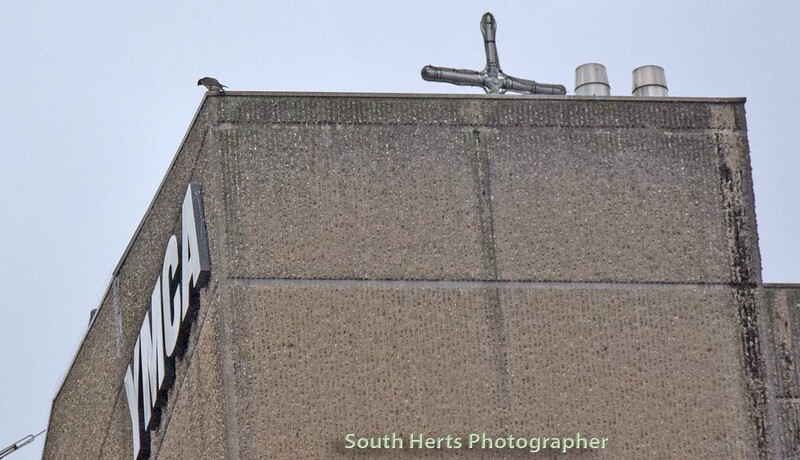 A passerby spotted this bird of prey hovering whilst squawking at something on the car park roof. "I thought it was a kestrel, I tried to get to the top floor but it was blocked off as restricted access." I noticed the car park adjacent on the other side of the ring road and thought I might get a look from there and then could see everything." At first i saw or heard nothing but decided to video, and that's when I heard the screeching return and then saw it." 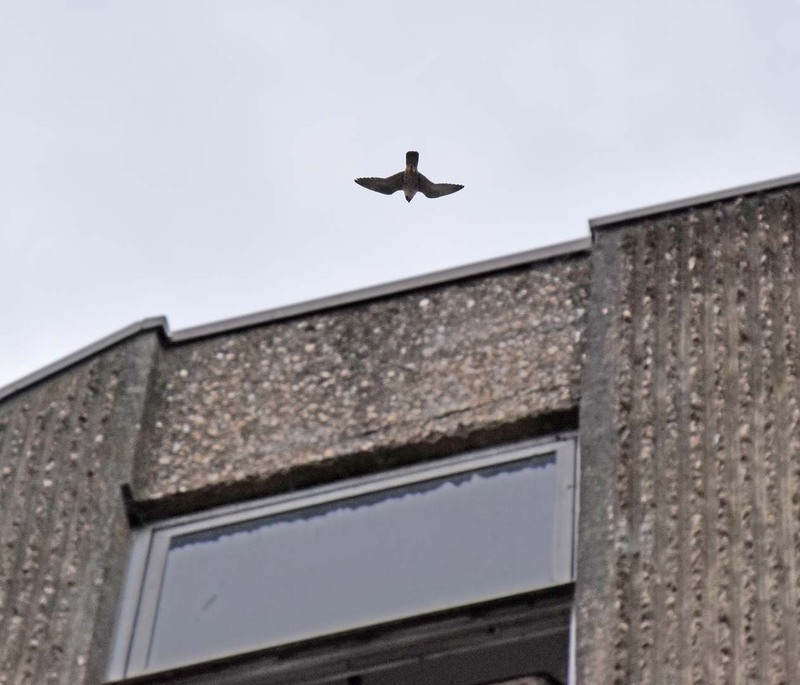 The RSPB said "Buildings and other constructions are increasingly being used by nesting peregrines." 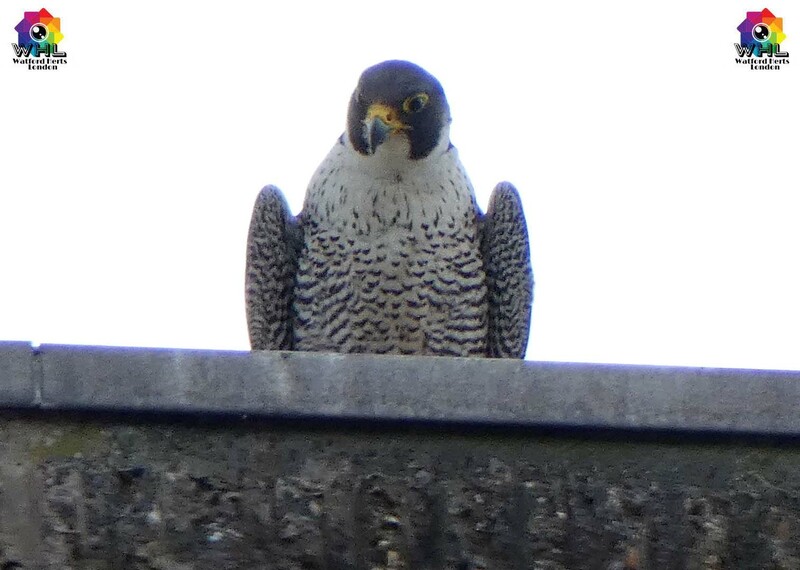 " Peregrines are territorial, with each territory containing one or more nest sites - this may explain the behaviour of the peregrine towards the builders."